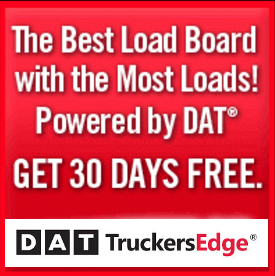 Whether it’s a trip across town or a trip across the country, the importance of keeping a vehicle’s tires at the proper air pressure to reduce the likelihood of blowouts or flat tires cannot be underestimated. 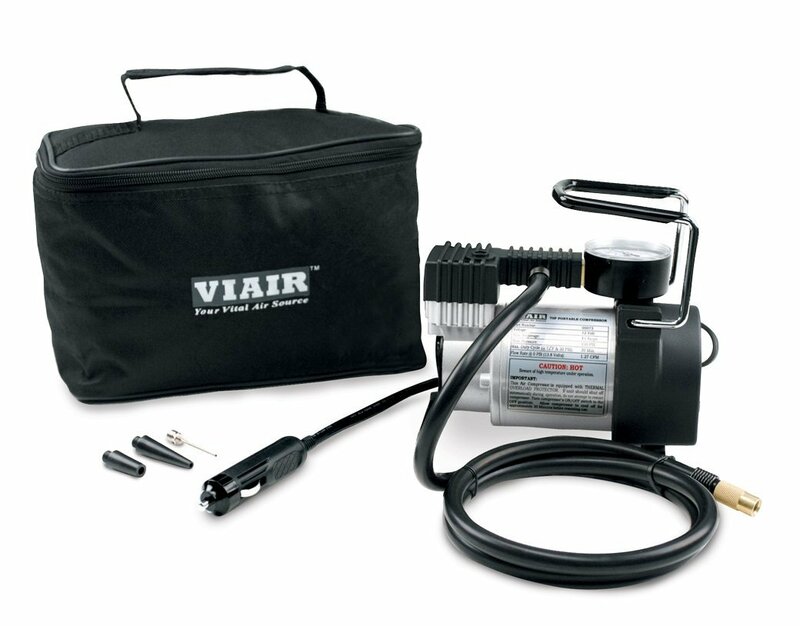 For travelers in need of a portable air compressor powerful enough to inflate the tires of most semi trucks without damaging the tires of a sedan, the Viair 00073 70P Heavy Duty Portable Compressor delivers stellar performance in a surprisingly compact package. While approximately the size of a typical shoe box, this heavy duty portable compressor is rated to up to 100 PSI and can fully inflate a typical sedan tire in less than five minutes. The DC plug is compatible with almost any vehicle’s outlet without the risk of blowing the outlet’s fuse and the 16 foot power cord coupled with a four foot air hose provides full reach to all four tires on most passenger vehicles. Rubber feet at the bottom of the compressor prevent the unit from rattling while in use. In addition to a twist-on tire chuck, the kit includes a ball pump needle and two nozzles to easily inflate bicycle tires and other small inflatable items. When not in use, the compressor and accessories neatly and easily fit into the included carry bag before being stowed in a vehicle’s trunk or cabin. This heavy duty portable compressor can restore a low tire’s pressure to the recommended levels in less than a minute without the noisy operation common to most portable compressors. While the unit must be switched off to check tire pressure, the large, easy to read gauge sits at the top of the unit to display the current pressure in 5 pound increments. The lack of a built-in light could prove detrimental in the event of a flat tire in a poorly lit area. Of course, you want to make sure you have a flashlight for emergencies. Although the reach of the cord works well for most personal vehicles, utilizing this compressor to top off semi truck tires would require a secondary DC power source to reach all of the tires. A portable air compressor is an important component to any roadside emergency kit, especially when travelling long distances or along back roads that lack gas stations. There are many portable compressors on the market, but few can surpass the value and sturdy construction of the Viair 00073 70P Heavy Duty Portable Compressor.